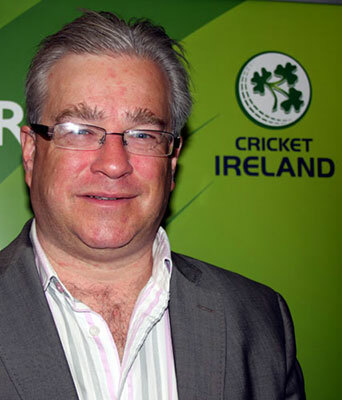 CRICKET Ireland are refusing to rest on their laurels after what has already been described as a “successful” first season as a Full Member of the ICC. There is a still a six-match series against Afghanistan to come this month but after hosting their first Test match, two sell-out Twenty20 internationals against India, the announcement of a Lord’s Test match in 2019 and the Women’s side qualifying for the World Twenty20 in November, it can safely be said that Irish cricket is on a high. More than 30,000 have watched the international action, confirming that the spectator-interest is there when Ireland face the top teams, a figure which has delighted CI chairman, Ross McCollum. “That is a great leap forward in attracting a growing local audience to our game and ultimately growing participation and support for Irish Cricket,” said McCollum (right), the former Lurgan batsman and Ireland international. “However, for the Cricket Ireland Board, growth and success is not just an international trophy or tournament qualification - success is seeing an increase in girls and boys take up the sport, greater club membership, increases in the number of schools with cricket programmes and attracting more sponsors and supporters. “Our biggest challenge is to get more people involved, Clubs are still struggling, especially in the NCU and North West and we have to work on that. We have to get closer to the clubs. And at international level, the NCU and North West will be hosting more internationals, starting with the three Afghanistan T20 games at Bready, on August 20, 22 and 24 and the three one-day internationals at Stormont on the same days the following week. The Board agreed that a full review, led by management, would be undertaken of the Match Allocation Policy as Ireland prepare to host a minimum of four Test matches, 32 Odis and 28 T20Is over the next four years. “It will be horses for courses – where is the best ground, is it a smaller ground, a larger ground, what commercially is the best ground to play on? There is no sense playing India in Clontarf when you get 10,000 in Malahide,” said McCollum. And the chairman also confirmed that although Australia are not part of the Future Tours Programme, he has not given up on persuading the one-day world champions to play Ireland. “I have a good relationship with the Cricket Australia chairman so it hasn’t been forgotten, there is work being done in the background but, obviously, they've had some turmoil and changes in the last eight months(after the ball-tampering incident) and that has stalled the process, but hopefully something will be sorted out,” McCollum added.